governors and boards to effectively scrutinise and support strategies for delivering GCSE maths and English as a priority. The development project involved more than 180 senior leaders and 100 governing board members, from over 80 organisations across the country. The different approaches provide senior leaders and governing board members with a rich resource of research and materials. We consulted with senior leaders and governing boards* from 35 organisations to develop and trial the content and resources found on this site. We sought the views of senior leaders from across colleges, independent training providers and local authority adult and community learning departments. Their voices, along with learners’ and practitioners’ views on GCSE maths and English, can be heard in our case studies, in audio form and through ‘text bites’ provided by participants at the six consultation events we undertook. These voices provide valuable insights from within the education and training sector on what works, what to watch out for and approaches you may want to implement or your colleagues may want to try. We knew that organisations were at different stages in their GCSE journeys, and challenges facing independent training providers may be distinct from those facing general further education colleges. 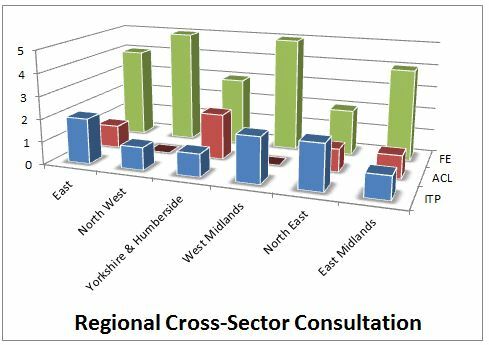 However there were certain challenges such as workforce development that all organisations delivering to the 16-19 cohort experience. We do hope the site and resources will help you, your teams and governing bodies to develop a whole organisation approach to leading and managing the significant changes in relation to GCSE English and maths. 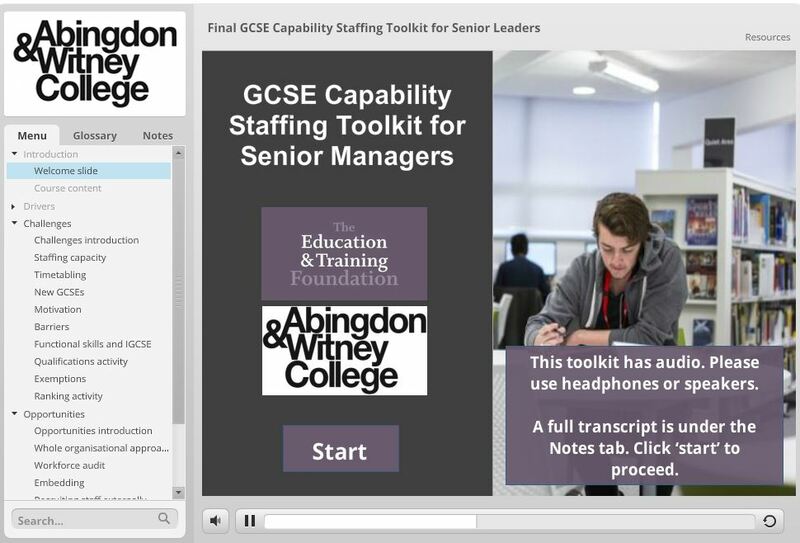 Abingdon and Witney College developed two eCPD modules –a GCSE Capability Staffing Toolkit for Senior Leaders and a GCSE Capability Staffing Toolkit for Governors. Drafts were sent to over 20 providers for review and comment, and the 28 replies provided feedback which was incorporated into these final versions, together with very positive responses to the interactive elements in these mainly audio visual packages. The toolkits are designed to address the strategic issue of increasing the diversity and calibre of new maths and English teachers; are highly flexible and can be used either as ‘linear ‘courses’ or dipped in and out of according to need or level of interest. 88% and 91% of senior leader and governors responded that they felt that the toolkits increased their ideas about how to increase the diversity and calibre of new teachers for English and maths. 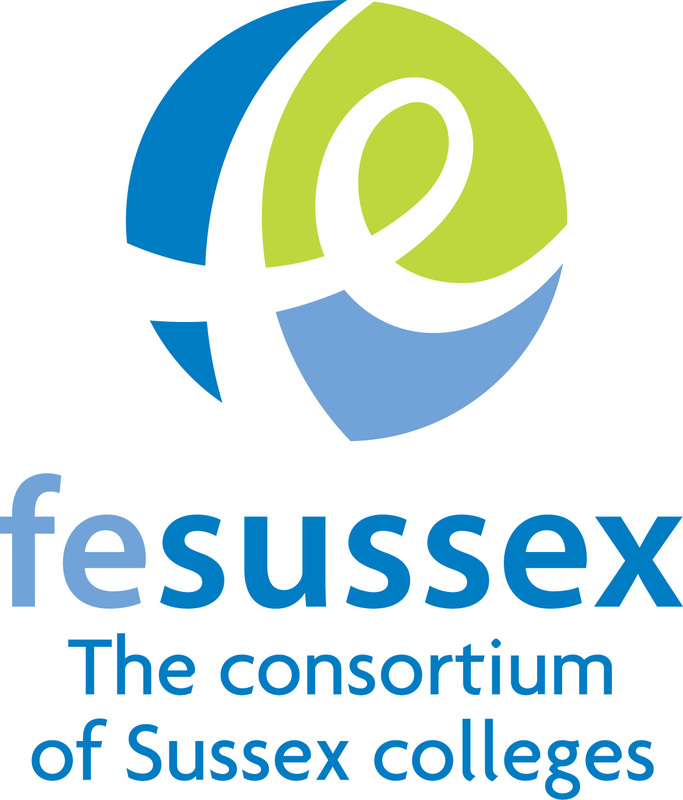 FE Sussex produced a research report based on a survey contributed to by 30 colleges and independent training providers. The survey focused on recording statistics, management techniques and quality assurance arrangements. The research results include quantitative outcomes summarised as tables and graphs. The qualitative research was collated and distilled into a number of key issues all of which inform future strategies for the leadership and management of GCSE English and maths as well as for their teaching and learning. It is these key issues which have informed the self-assessment and quality improvement toolkits. One toolkit is for senior leaders and governors and one for curriculum leaders. These toolkits provide a ready and easy way to benefit from the results of this research project through evaluation of their current approach to the monitoring of GCSE standards and associated suggestions for actions to improve standards.